Being a five year-old kid is a magical time of learning. The learning window is wide open in Kindergarten. 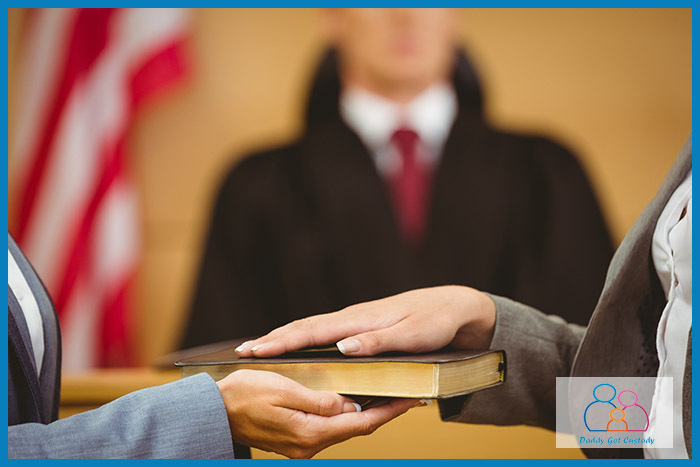 Children begin reading, meeting classmates, and learning how to interact in society. So much early life experience occurs during their playtime at this age. I recommend parents not only read to their kids 30 minutes everyday, but that they also take an hour a week and play family board games. FYI, these board games make GREAT inexpensive birthday and Christmas gifts. 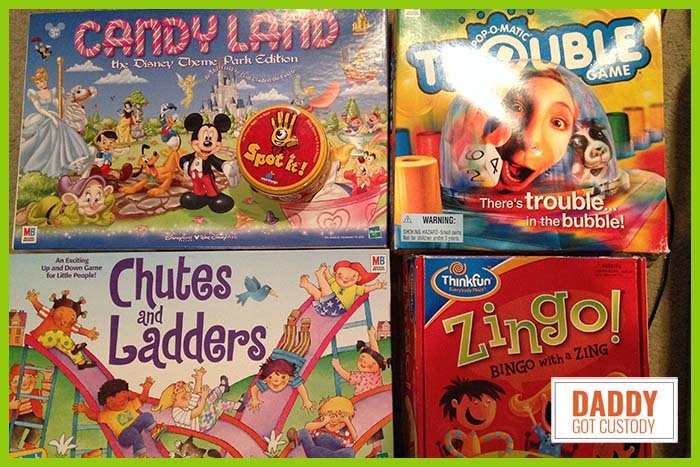 Through board games, children learn good sportsmanship, manners, waiting and taking turns. In our home, we have 100s of games we play as a family each week. Here are my top five great kindergarten games to play with your children. Enjoy! 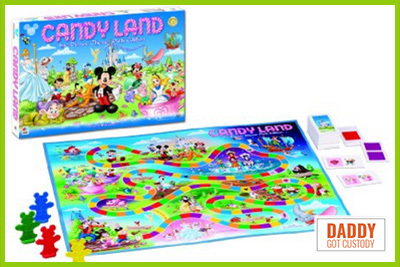 Candyland is a great starter game for Kindergartners and even pre-schoolers. Since you move your pawns based on color the ability to count is not necessary. 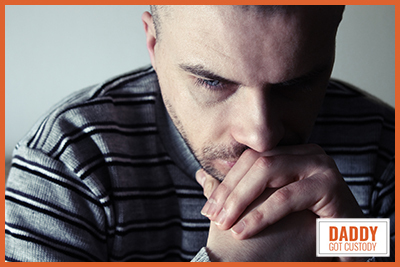 The game teaches taking turns and that just because you are in the lead you may not always win. The games is for 2-4 players. I am very pleased to see that Hasbro has opened the game to other versions. As a Disney family, it made sense to buy the Disney version of the same game. Will Mickey make it to “Cinderella’s Castle” or will he get stuck in “It’s a Small World”? 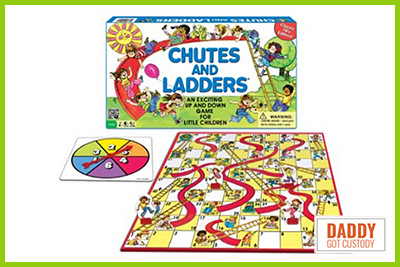 Moving up from Candyland, Hasbro has a great Kindergarten game called Chutes and Ladders. In this game, a child uses a spinner to move around the numbered space board in an effort to count all the way to 100. To make the game a little more interesting there are opportunities to advance up when you land on ladders or be demoted down if you land on a chute (a slide). The game is played with 2-4 players. Great Kindergarten Games – Spot It! With colors and counting accounted for, Spot It! focuses on matching. A simple quick paced card game where the cards are round. 2-6 players try to find a matching object on their card vs the turned over top card from the center deck. Blue Orange, the creator of Spot It! 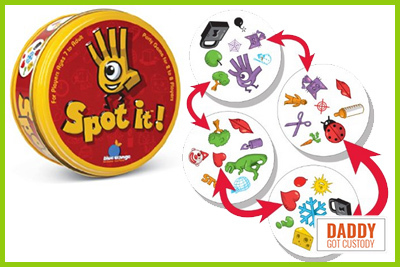 has also recently come out with Spot It Jr. and a variety of other Spot It games focusing on numbers, sports and animals. 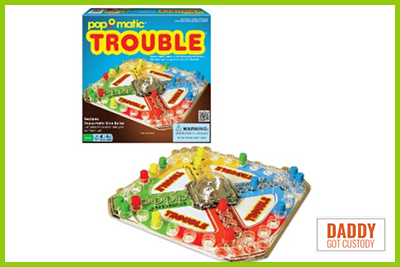 Put everything kids have learned above, and combine it into a simple strategy game and you have “Trouble”. With your four color men, your task is to walk them around the board and get them safely home. Taking turns and using the fun pop-o-matic kids have to make choices of when to come out, when to march home and when to step on another player in order to win. This game is fast pace and great for 2-4 players. Parents get a one-on-one opportunity to discuss and model the value of having more than one piece out on the board at the same time. 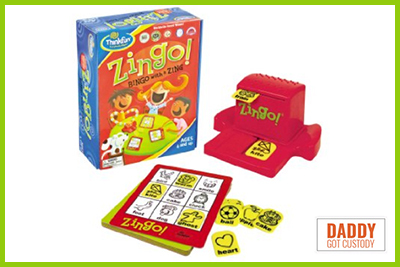 Great Kindergarten Games – Zingo! Zingo! 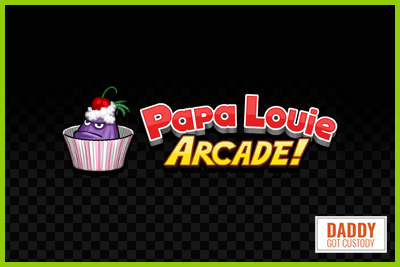 is a great family game that can be played with lots of players. A sort of spin off on Bingo allows kids to have their own card and find words and pictures to match on their card. Not only do they have to match, they have to call out Zingo! and grab the chip for their own card before another player. Like others games mentioned above, Zingo! 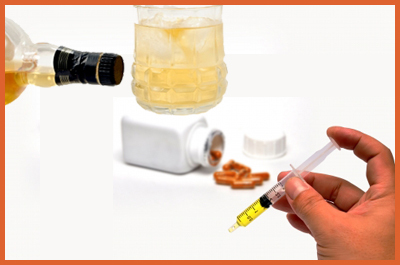 also comes in a variety of flavors. There is a version that focuses on sight words, one that focuses on counting, word building, and even time telling. All in all, a quick easy game that promotes learning. Family time is learning time. Model good behavior as more is caught than taught. Try these games out and find many more. What other games do you play with your kindergartner? 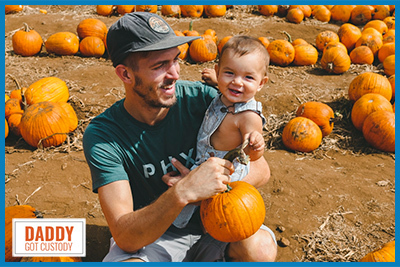 Paid image from Amazon.com and if you click to buy, a tiny affiliate commission goes into my kindergartner’s college fund. FullCustodyDad, well I feel pretty good about this area. Also I have 3 out of 5 of the games you recommend. So now I know at least two things I need to get my youngest for Christmas. FYI, I too have a Kindergartner, my youngest is five as well.